Whether this is your first trip or you are a repeat visitor. For those wanting to enjoy their trip at a more leisurely pace, we have charted out few days itineraries, and we also have day trips for those who want a quick vacation. 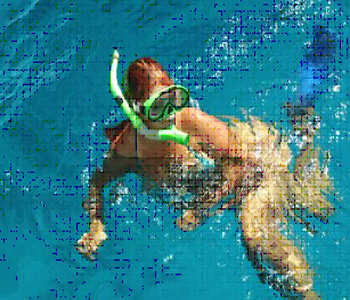 Please Note there are more things to do in Hurghada, find below samples, we can organize any you wish to do, just contact us. 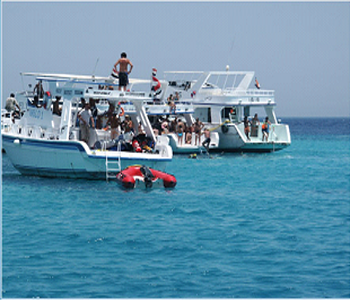 No trip to Hurghada would be complete without a day spent exploring the underwater world of the Red Sea. This snorkeling trip will take you to three spectacular sites where you can choose to jump in the water or simply lie on the decks and work on your tan. You will be collected from your hotel and transferred to the port to board your boat for the day. Once everyone is onboard your crew will give you information about the sites you will be visiting and answer any questions about the day you may have. There will be three stops of approximately one hour throughout the day, the locations will depend on local conditions at the time. 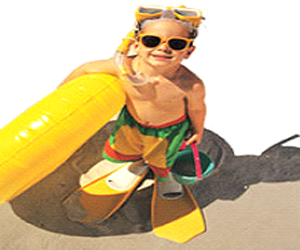 There is snorkeling equipment onboard for your use if required. 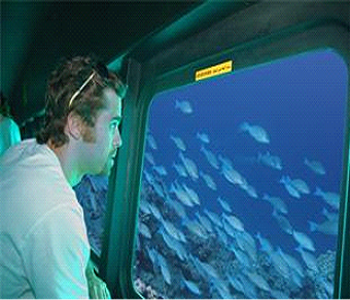 aboard our Submarines on an unforgettable guided tour, 25 meters below sea level, and explore our mystical underwater world. Our Mark III Submarines are the most advanced and only recreational submarines in Africa. Every dive is unique with expert captains and divers who bring the sea world to your comfortable, spacious and air-conditioned view ports, allowing you to get as close as you can to the spectacular underwater landscapes, fantastic coral formations and an unlimited number of exotic sea creatures. Transport from and to your hotel. 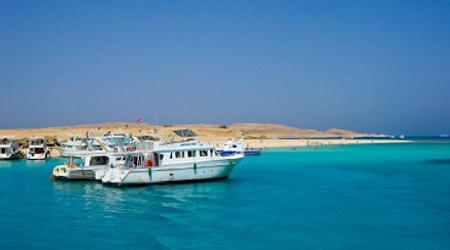 The Southern Red Sea, especially the Hurghada area, is known for its spectacular landscape, rich with colorful mountains and canyons. Badawya arrange for you magnificent safaris ranging from half a day to 4 or 5 days, even longer trips may be negotiated. Participants may choose between Camels, Horses, Quads, and 4x4 Vehicles. 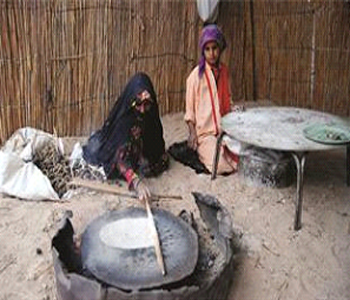 On most of the trips you get the chance to visit a Bedouin Tribe, sip their Bedouin herbal tea while enjoying the magical site of millions of glittering stars. Playing with the Sun....one of the best things that you can do on your Badawya day, is to relax in the evening at the Badawya station at sunset time, after your lunch time while you are enjoying your hot drink, it’s also the best time for making nice photo shots....also a full relaxation after your program days. Spend your greatest time watching dolphin worlds' breath taking dolphin show! The very cute dolphins will surely win your heart. Dolphins love to flip and frolic and they will impress you by showing you amazing stunts. You also get the chance to admire other marine mammals like sea cats, sea lions and sea elephants. You want to get up close and personal with one of the fantastic dolphins? Join in for your private swimm with a dolphin. We advice you to go to this trip as single quads only. double quads are not allowed for safety reasons. Pick up from the hotel to the meeting point. our in the Bedouin village to see the Bedouin life with full info from our guide. B.B.Q dinner, Soft drink, mineral water & smoke Shisha. 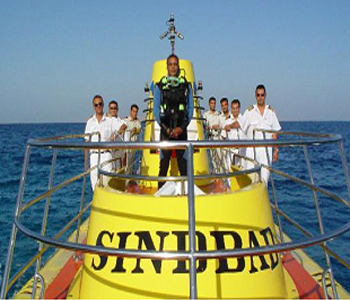 Our representative will pick you up from your hotel in Hurghada or El-Gouna to start your Glass Bottom Boat Excursion. We will take you over Coral Reef where you can see the great brain from the near of the Far Garden. It is considered as one of the largest corals all over the world. 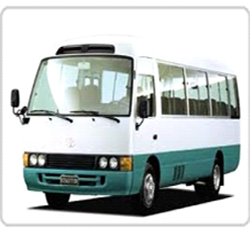 At the end of your tour you will be transferred back to your hotel in Hurghada or El-Gouna. Door to door pick up services from hotel in Hurghada or El-Gouna & return. • Entrance fees to glass boat. 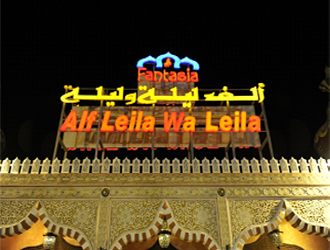 The Fantasia 1001 Show at Alf Leila We Leila is a highlight for most visitors to Hurghada, giving you a taste of the local customs, traditions and food. 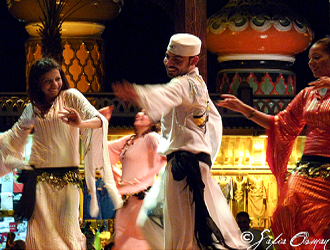 Bellydancing, horses and a Sound and Light Show make up your night of Arabian entertainment. Your evening begins with an optional Oriental dinner (Maghreby - Moroccan), followed by a Sound and Light Show in the tradition of those at the Great Pyramids, Karnak Temple and Abu Simbel. The Sound and Light Show is followed by a pharonic horse show where acrobatics on horseback and general horsemanship is displayed. The third and final show is an oriental belly dancer and Tanura. At the end of the evening you will be transferred back to your Hurghada hotel. Early morning breakfast, we'll pick up you from your hotel in Hurghada by air-conditioned bus to Hurghada's domestic airport heading to your flight to Cairo; you will be accompanied by your Egyptologist tour guide to visit the famous Giza sites, such as the great three Pyramids Cheops. 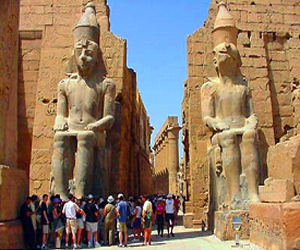 Chephren,Mykerinos and the great Sphinx ,the Father of Terror of the ancient pharaohs. 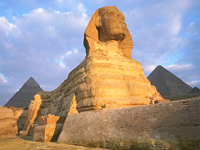 The tour includes a visit to the valley temple facing the great sphinx and you may visit the solar boat; a boat used to ferry the pharaoh's mummy across the Nile, and then buried at the foot of the pyramid for his use in hereafter lunch will be served en route. about the Egyptian civilization and the mummification art in ancient Egypt. 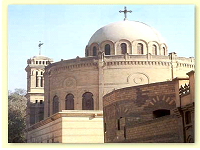 we'll drive you to visit the Christian heritage in Coptic Cairo including some of the early religious monuments of the city such as the hanging church or the suspended church this basilica church which was given name for its location on top of the south gate of the Fortress of Babylon the church became the center of the Christian Church of Egypt. 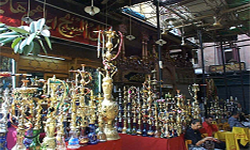 Following this round enjoy shopping on afternoon at the Khan El Khalili famous Bazaar and old market in Cairo. 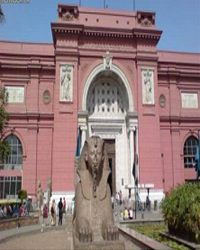 Feel free in Cairo with optional tour to attend the fabulous Sound and Light Show at the Pyramids. Eventually you will be transferred to Cairo domestic airport to fly back to Hurghada with transfer to your hotel in Hurghada. Door to door pick up services from hotel & return. Lunch meal at local restaurant. Early morning start takes you on a three hour drive across the dust-dry desert to Luxor – a site often referred to as the greatest outdoor museum in the world. Cross over the might Nile and drive through lush farmland and sugar plantations to edge of the desert where you will find the tombs of the pharaohs in the Valley of the Kings. Cut directly into the mountains, the tombs were filled with treasures beyond comprehension and covered in beautiful painted hieroglyphics depicting the life of the king they housed. Your guide will bring the stories to life as you explore the tombs before continuing to the impressive mortuary Temple of Queen Hatshepsut. Architecturally stunning, this temple would not look out of place with modern buildings and contains beautiful murals on its inner walls. On your return to Luxor’s East Bank, there is a photo opportunity at the Colossi of Memnon, two gigantic statues that stand proudly, yet virtually alone at the entrance to what was Amenhotep III’s mortuary temple. 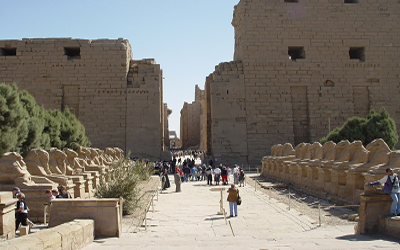 After lunch, continue to the hugely impressive Temple of Karnak. An amazing feat of ancient Egyptian engineering, the complex comprises three temples and took several generations to complete. The centrepiece is undoubtedly the Temple of Amun-Ra, the largest surviving column-supported temple in the World although the hypostyle hall containing 134 free standing columns is also world renowned and the backdrop for several Hollywood films. 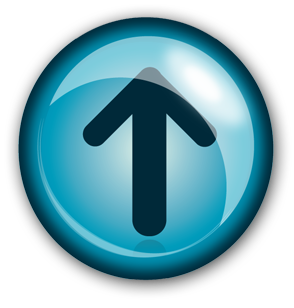 Hotel Pick-up and Drop-Off from all Hurghada hotels.